FSP Hydro series is designed for the need of general gamers who need good performance at affordable prices. 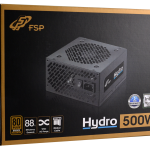 No compromise is what FSP looks for electronic performance even in mainstream product range. 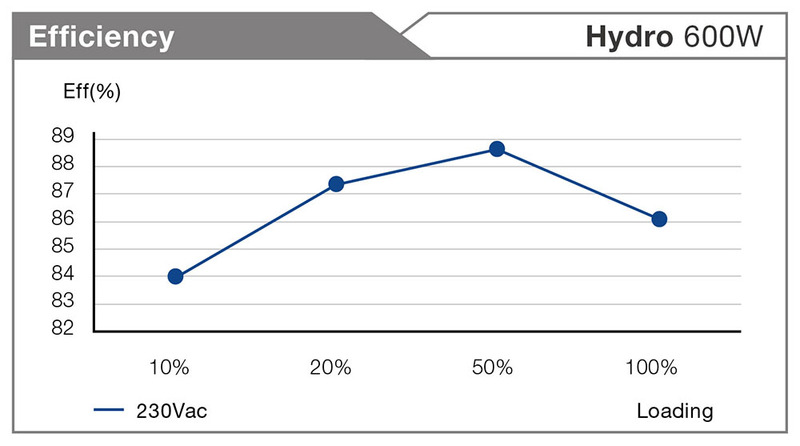 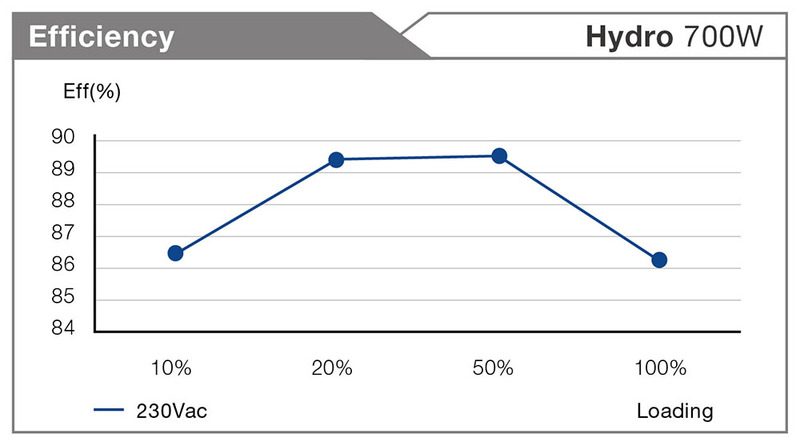 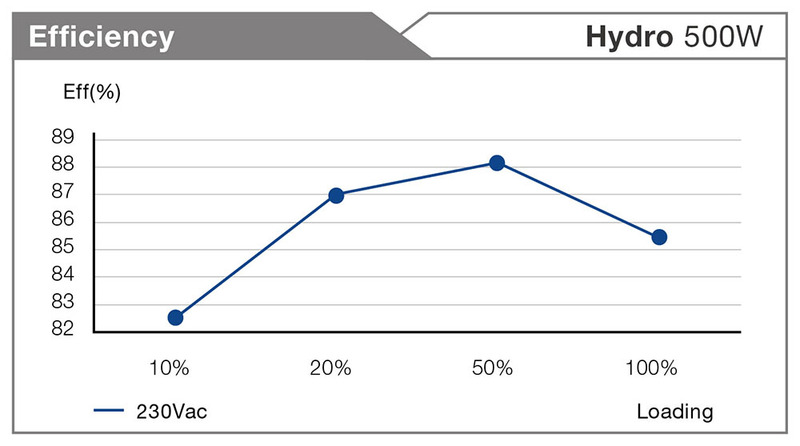 By 230V 80Plus bronze certification, its efficiency can be reached up to 88% at typical loading. 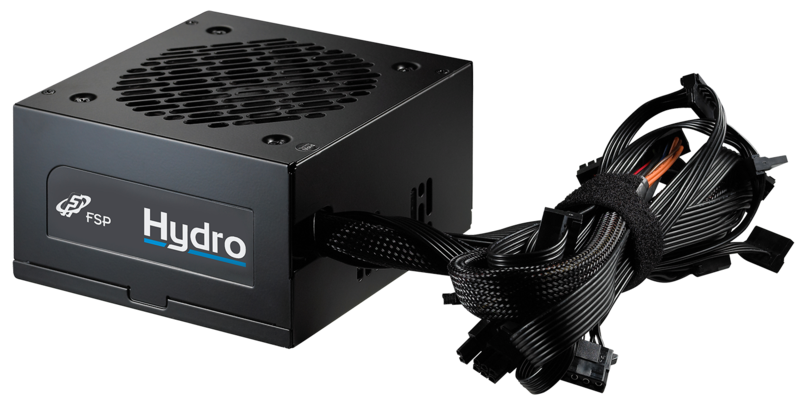 The powerful single +12V rail design provides stable power to your hungry graphic cards while you play games. 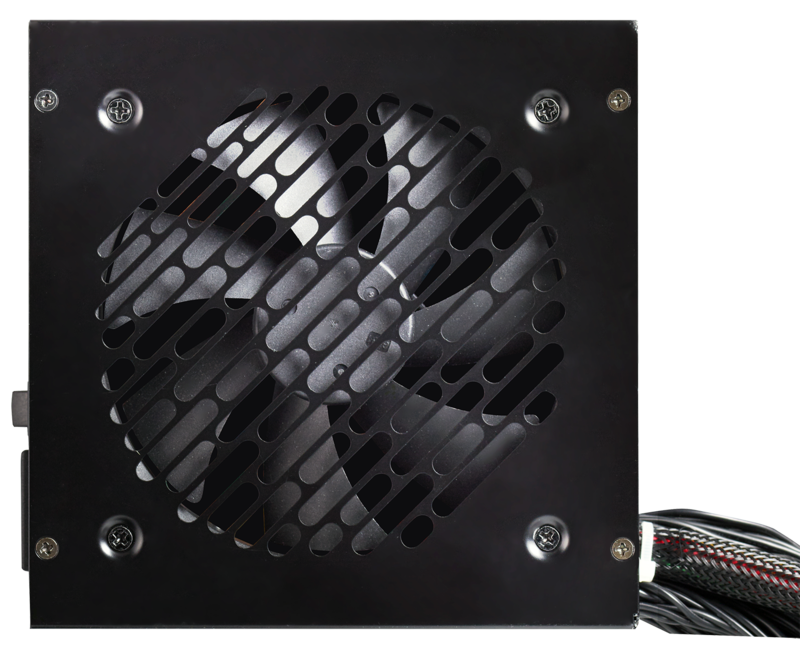 Gamers are easy to install all cables to all system components through motherboard tray in the back of chassis by ribbon cable design. 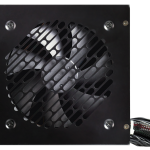 With advanced air-flow design, PC system is running in silent operation at full loading even the inside ambient temperature of PC chassis is at 40°C. 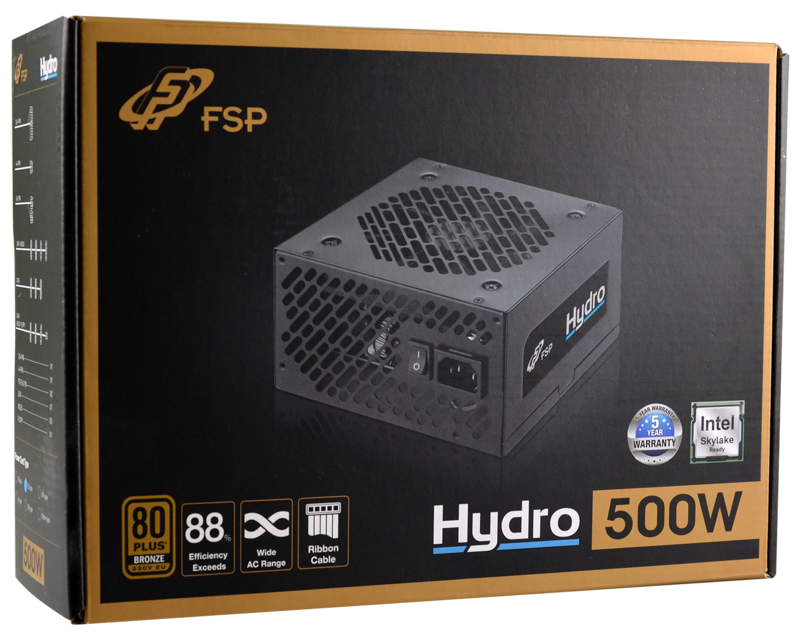 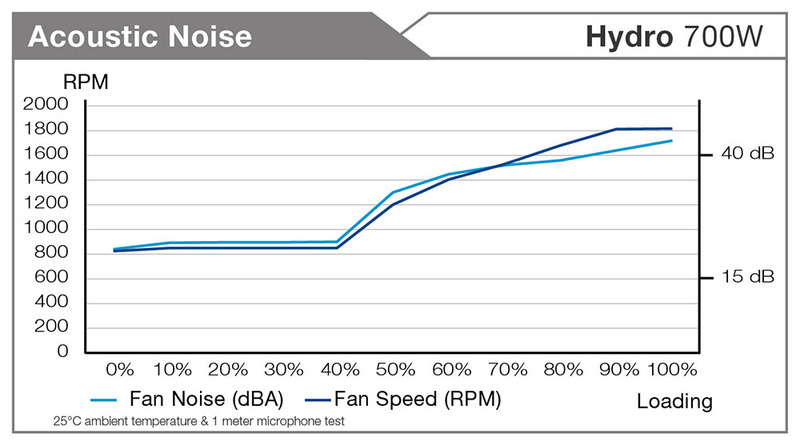 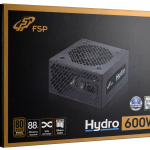 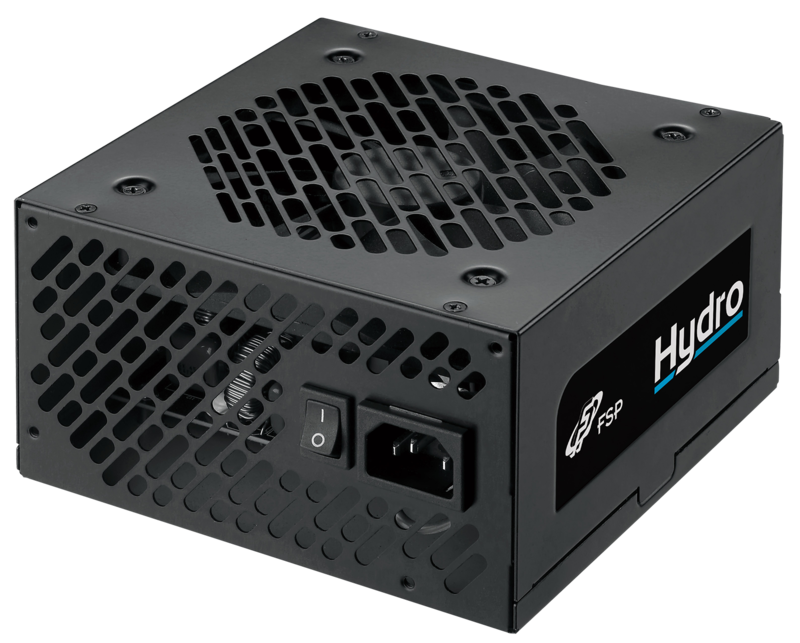 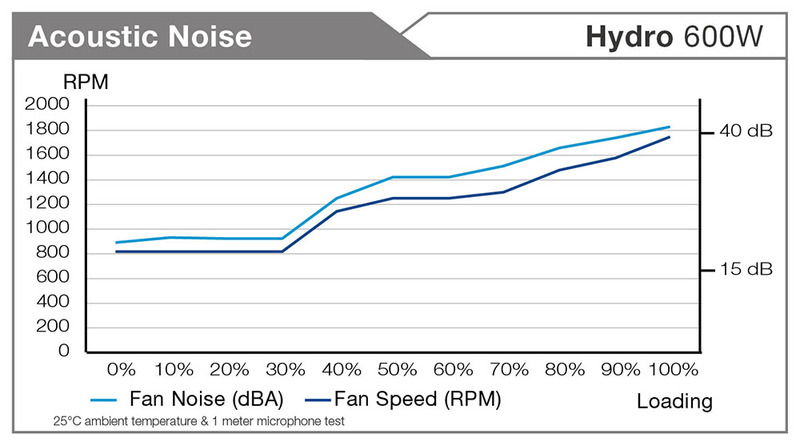 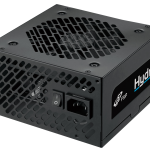 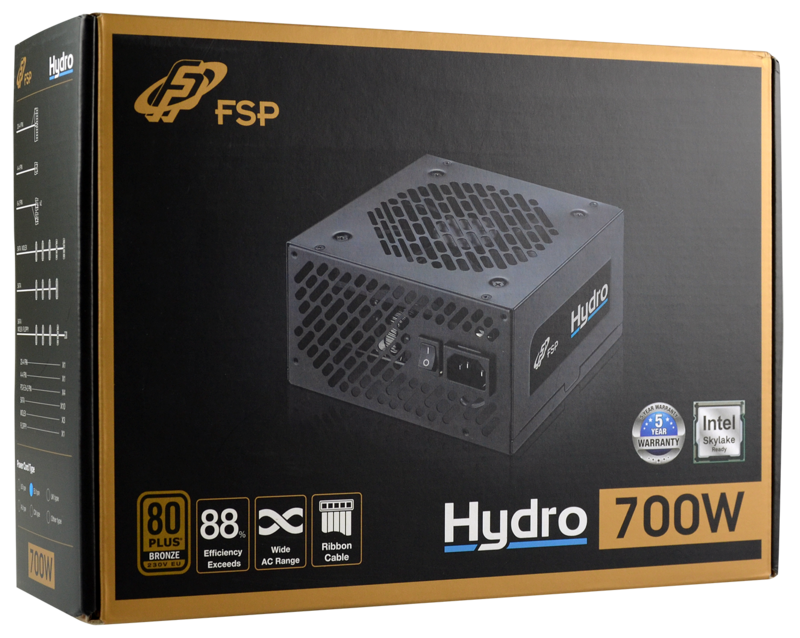 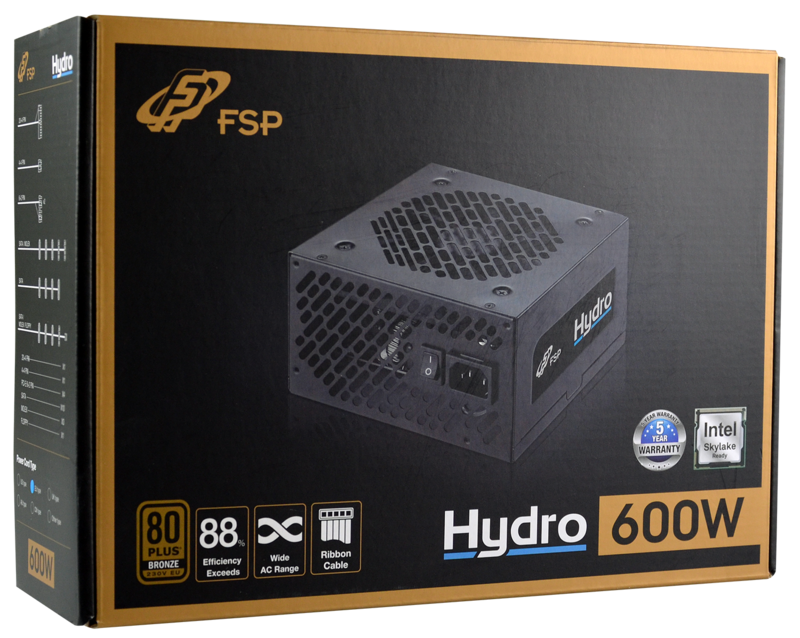 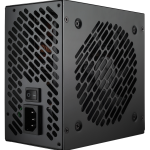 FSP Hydro series offers three models which are 500W, 600W, and 700W. 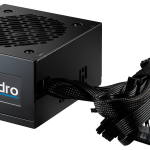 With full protections, gamers don’t need to worry about dynamic and unstable usage when PC is at heavy loading. 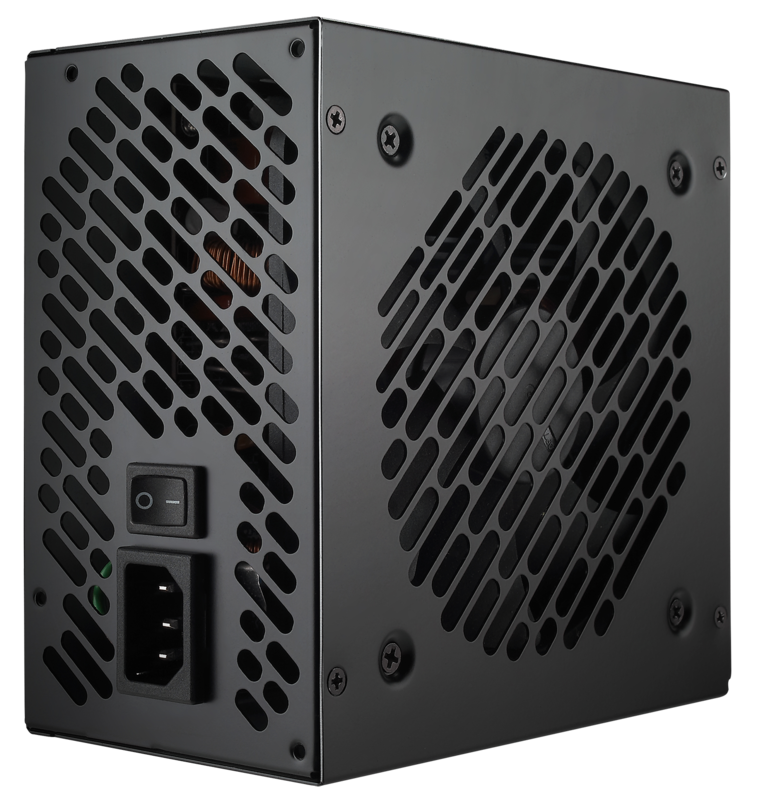 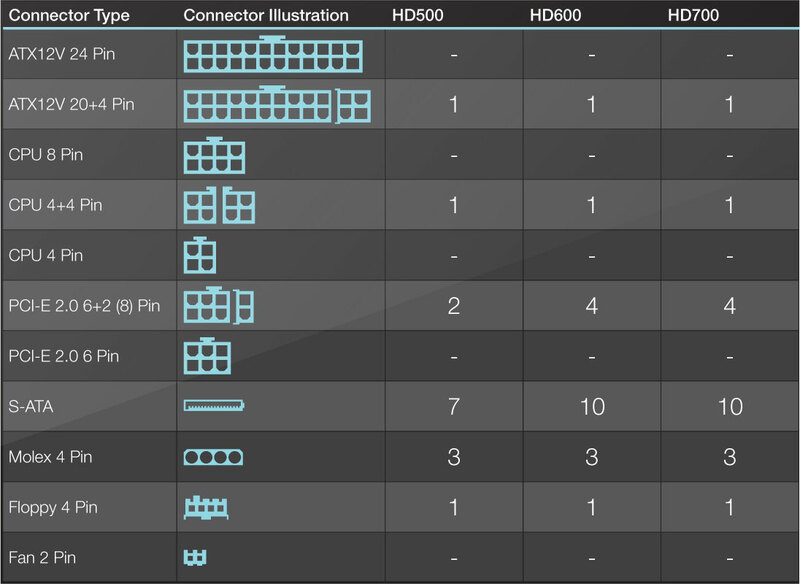 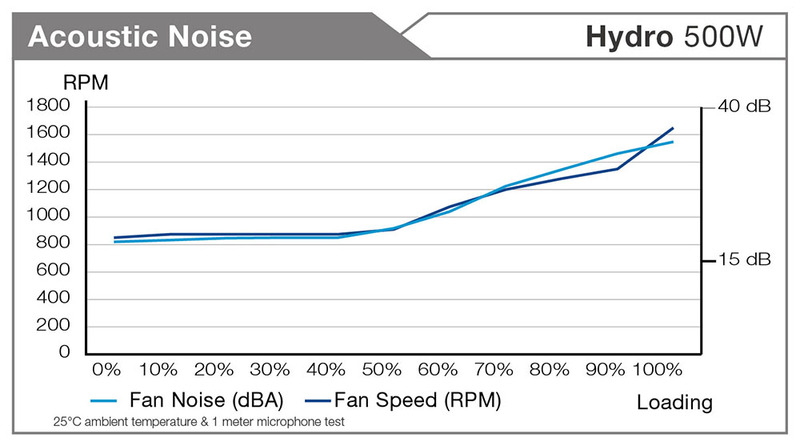 Wide input AC mains range is also a benefit to gamers as well.